Do you note something odd in this image of the constellation of Ursa Major? Definitely this is the position. In Northern hemisphere we never could see this constellation in this way. 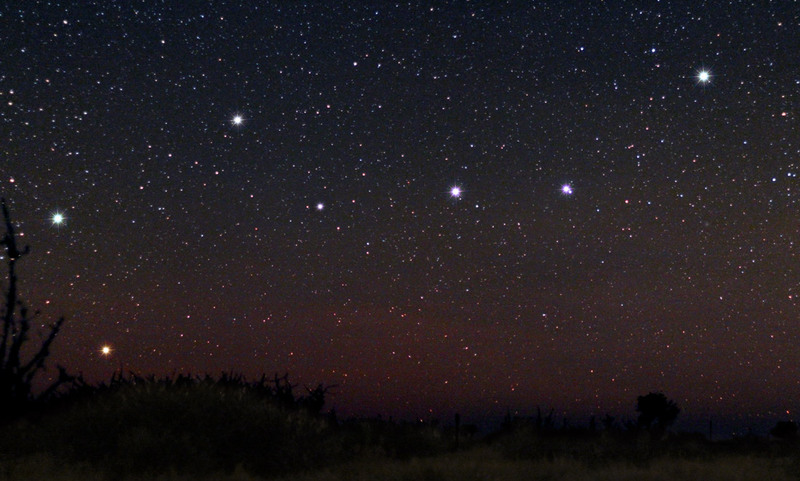 Please observe the smallest stars near the horizon: they are dimmer than 7 mag. It is hard to imagine such a transparency near the horizon. As a friend of us said, the stars can be seen even below the horizon :).